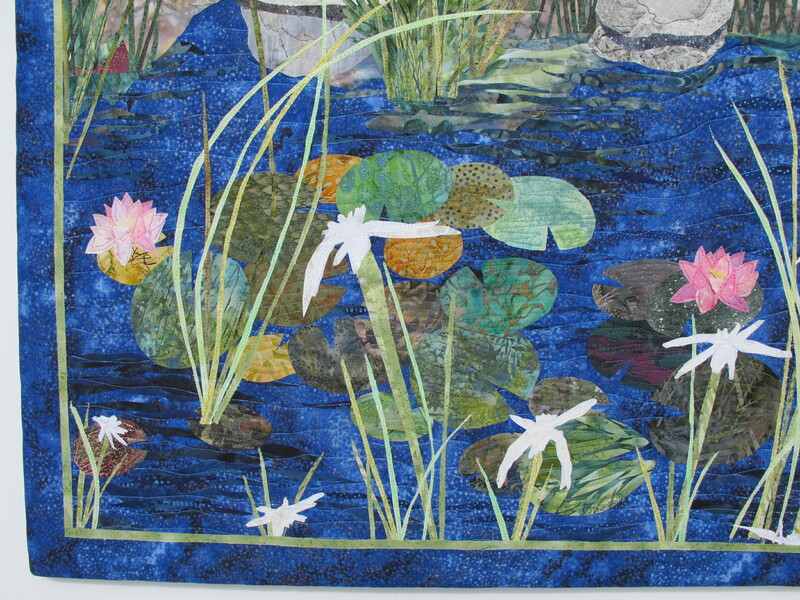 This is a bold color representation of the edge of a lily pond. 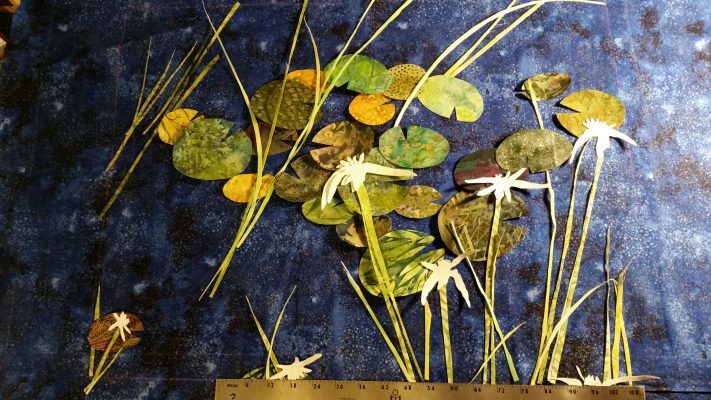 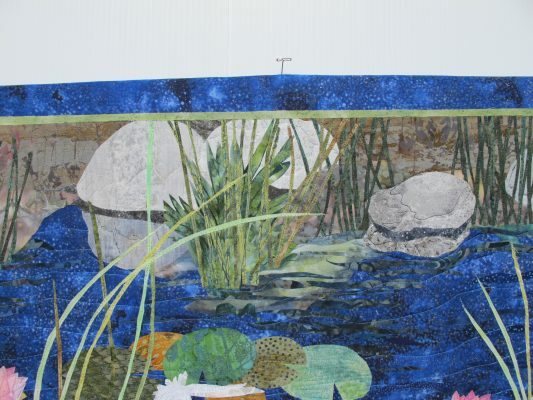 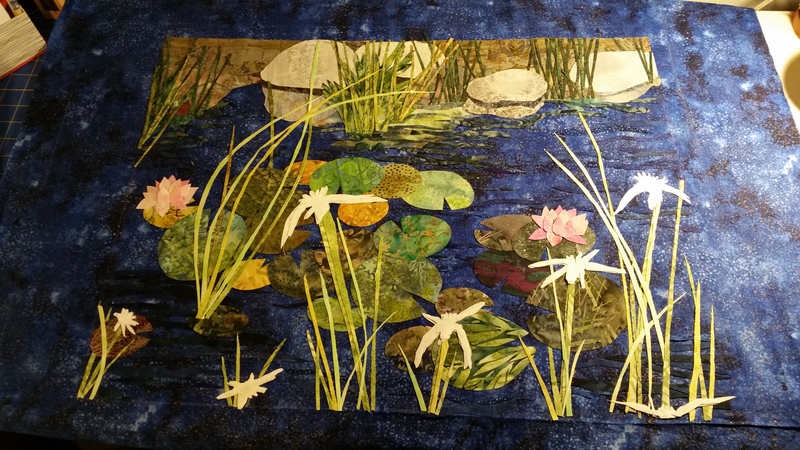 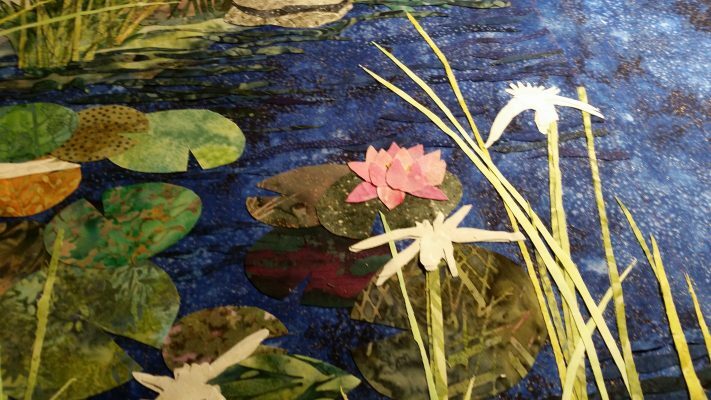 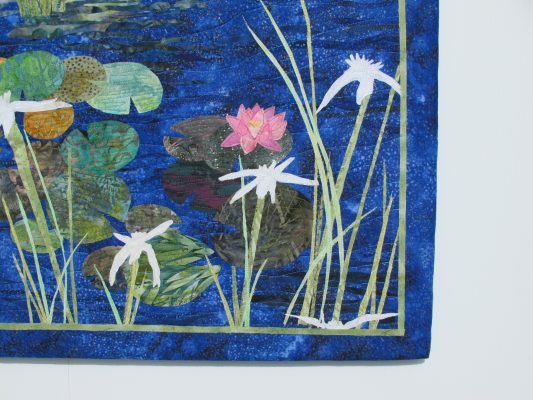 The background fabric was the perfect choice to reflect the movement and light reflections often seen in a still pond enhanced with additional fabric for depth then quilted. The addition of all the grasses and white flowers help create even more movement within the quilt. 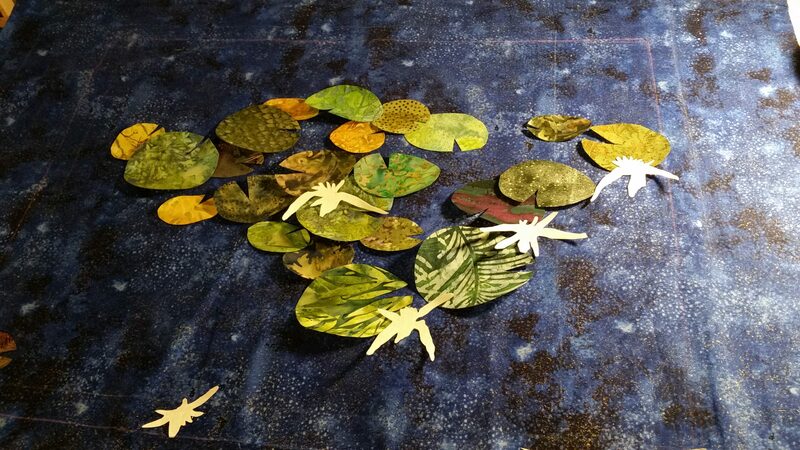 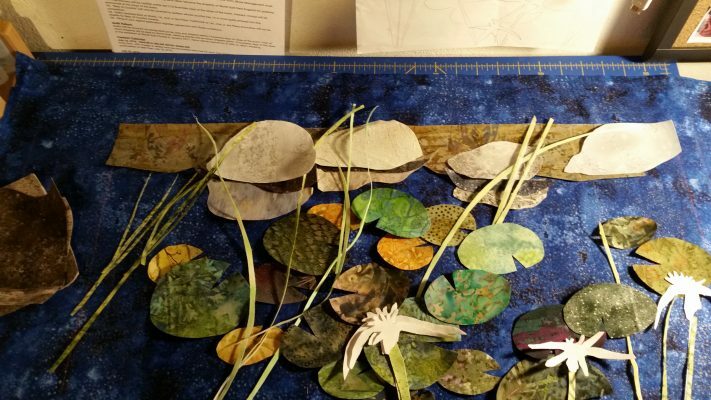 There is a fun mixture of greens and yellows to represent the lily pads themselves. 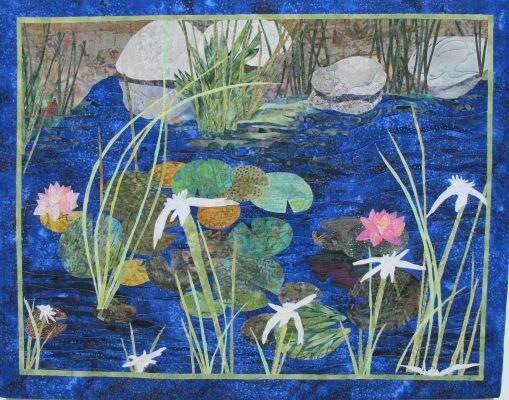 This quilt has been stretched on a padded frame with a fabric backing and measures 28″ wide by 22″ height.